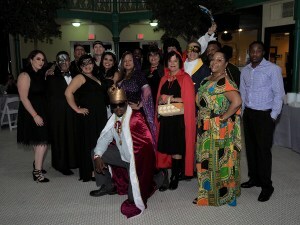 With no glass slippers left behind, BNT’s annual fairytale masquerade ball was a huge success. We transformed Bridgeport’s Historic Arcade Mall into a fantasy land where guests were able to embrace their inner fairytale alter-ego. With more than 200 people in attendance, we were able to raise $70,000 to support our mission to LEAD, EMPOWER and CHANGE Bridgeport neighborhoods. Guest danced all night long to the live sounds of The What Up Funk Band while enjoying food provided by Arcade Mall tenant, Meatball Heaven. Event goers enjoyed an interactive photo booth from The Absolutely Fabulous Photobooth Company and artistic masquerade creations of Alicia Cobb of Art Simplicated. Guest got a chance to enter our silent auction and prizes were awarded to the best male, female and couple fairytale costumes. 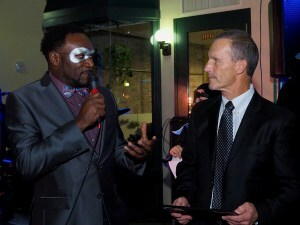 Every year BNT acknowledges an individual/organization that has gone above and beyond to help us achieve our mission. BNT’s Community Building with Grace Award was created to honor our long-time President and founding board member, Michael Grace, who served as BNT’s Chairman and President for nearly 25 years. 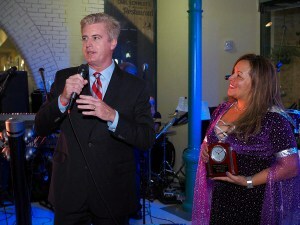 At this year’s Masquerade, we honored the support of William Tommins, Market President of Bank of America and Andrea Pereira, Executive Director of LISC. 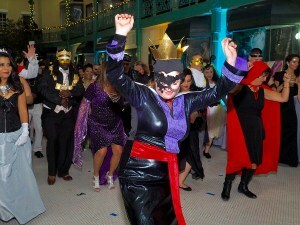 We would like to thank our generous Fairytale Masquerade sponsors: Haynes Construction, Intercontinental Capital Group, Schadler Selnau Associates, First Republic Bank, Ginsburg Development Companies, LLC, The Richman Group, M&T Bank, People’s United Bank, Webster Bank, A+ Technologies, AVP, Cohn Reznick, CT Green Bank, Key Bank, McBride Electric, Quisenberry Arcari Architects, Total Mortgage, Village Mortgage, Voka Mechanical Corp.